Name: Čārtāqi Niāsar (Tetrapylon/ Squared-Base Arcs). 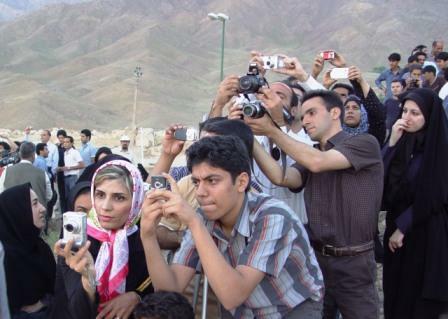 Location: Niasar, West of Kashan, Isfahan Province, Iran (250 km from south of Tehran). Latitude: 33˚ ۵۸.۲۸′ N (±۰.۰۱′). 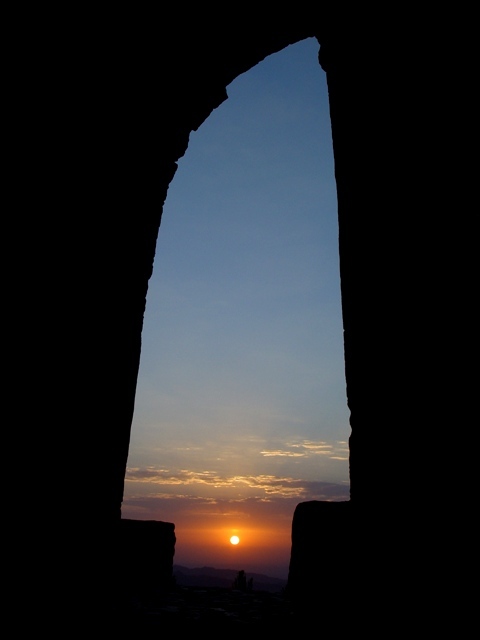 Longitude: 51˚ ۰۸.۵۳′ E (±۰.۰۱′). Altitude of the surrounding plain: 380 meters. Orientation of its plan: 11˚ from true north (±۰.۵˚), eastward. Floor area measure: 142 m2. Length and Width: 11.90 m (±۲ cm). 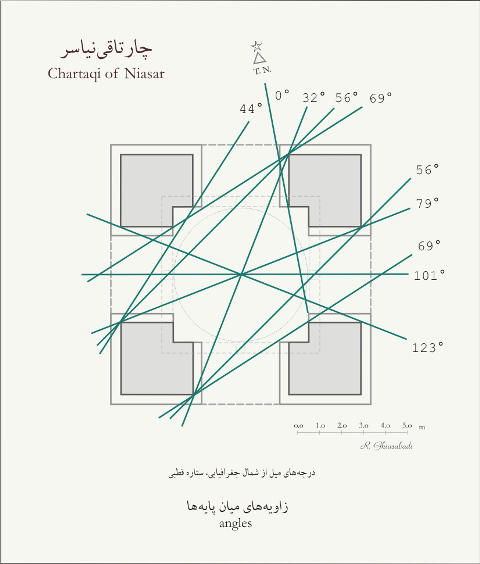 Chartaqi of Niasar located near the city of Kashan (Fig. 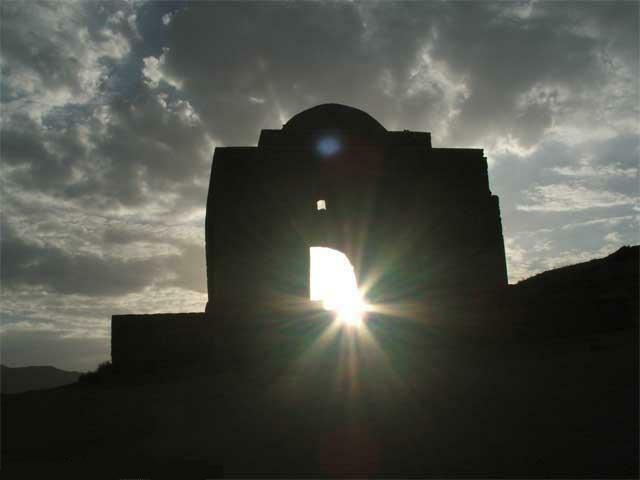 1.1) and was constructed during the late Parthian or early Sassanid Dynasties′ eras. Its plan is square in shap. 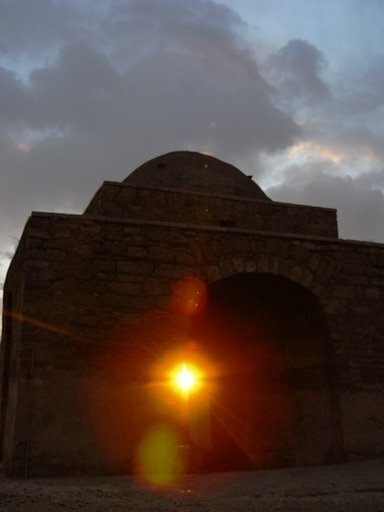 This Chartaqi is one of the greatest and the oldest ones in Iran, which remained intact for over 2000 years. It is like a quadrangle with sides that are 11.9 m (Fig. 1.2; Plan 1). 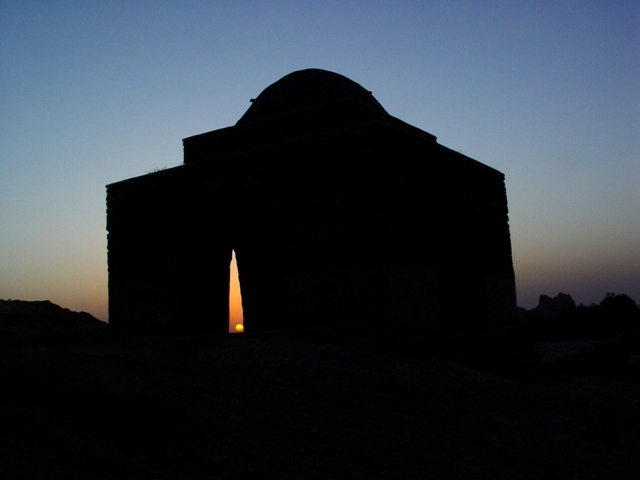 For the construction of this monument, ancient Persian (Iranian) architects used residual rocks, which contain holes, and as the result are light and resilient to weathering and especially earthquake, which is why this monument is still standing in this earthquake prone region of Iran after 2000 years. 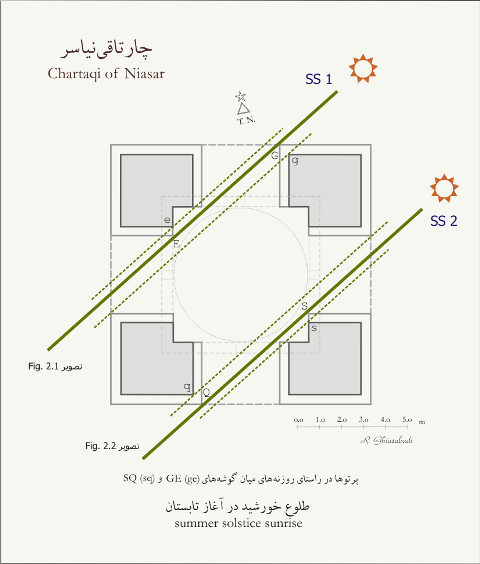 All sides of this Chartaqi like the other existing Chartaqis are open with no door or window (Fig. 1.3). 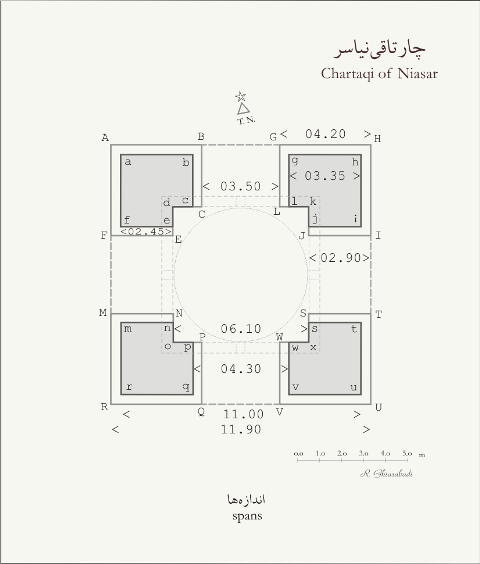 Chartaqi of Niasar is unique from architectural aspect, in that its’ quadrangle plan matches with circle cupola place in the centre very accurately. 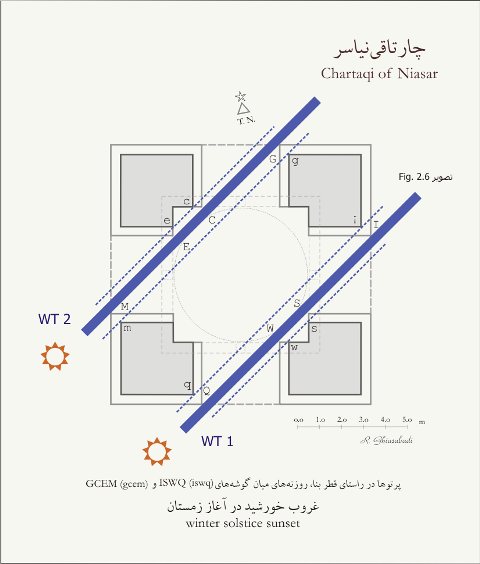 In the year 2000, the author proposed a theory about the function of Chartaqi of Niasar, as a calendar monument that works with sunlight. 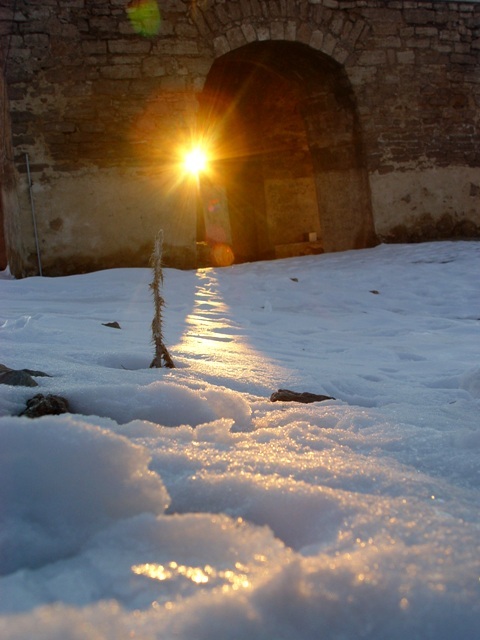 In summer and winter solstice the sunrays enter the monument from different angles, which determines the time of the year. 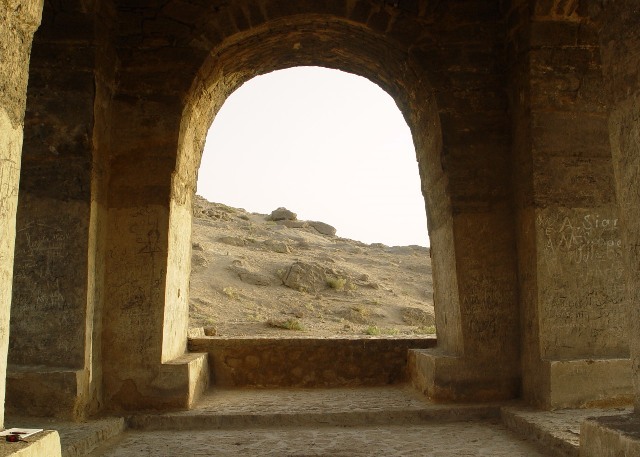 There are, however, some theories that state that in ancient times Zorvanists used this place for their religious practices. 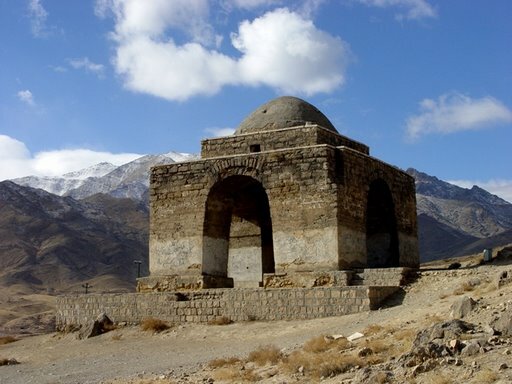 Near this Chartaqi, there is a shrine and holy tree (plantain) and also a fountain that makes it some what a holy place. 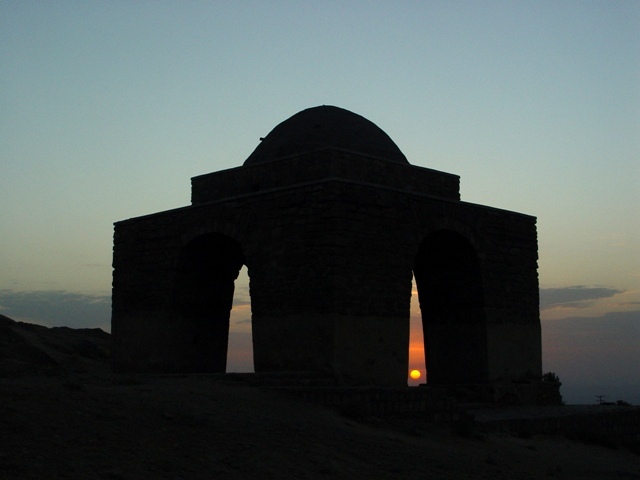 Also near Chartaqi, there is a modern observatory. 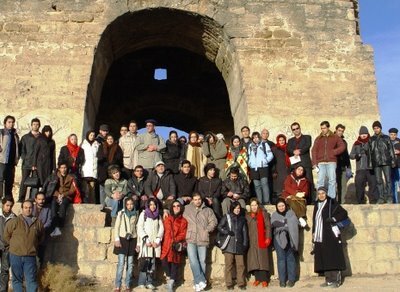 Today Niasar is place for people who like astronomy in Iran. 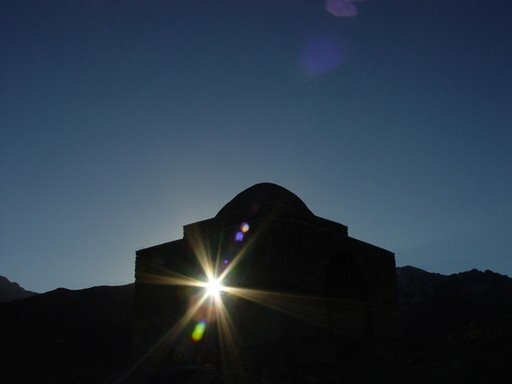 Every year Chartaqi of Niasar hosts a large number of Iranians that gather to cherish their ancestral way of life and to mark the observance of sunrise in summer and winter solstice (Fig. 3.1, 3.2). 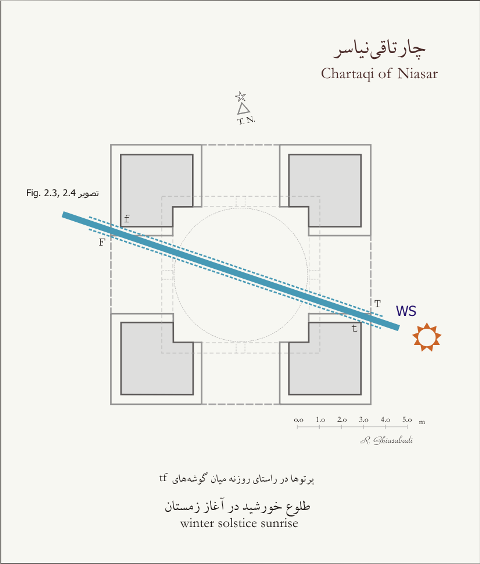 For further details, refer to Čārtāqihā-ye Iran (Persain Squared-Base Arcs), Tehran, 2010, (Published in Persian), by the author of this article.